Budapest may not have any coastline to boast of, but when the summer months heat up there is plenty of water around – and we’re not just talking about Balaton. In and around Budapest itself you’ll find plenty of places where you get to chill by the water, where you can spend a “day at the beach”. 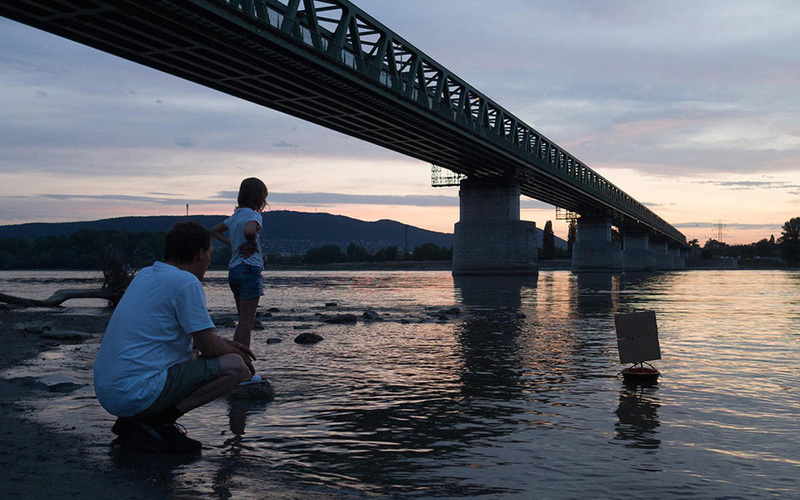 Keep cool this summer with our favourite Danube-side spots, hidden lakes and our favourite baths. 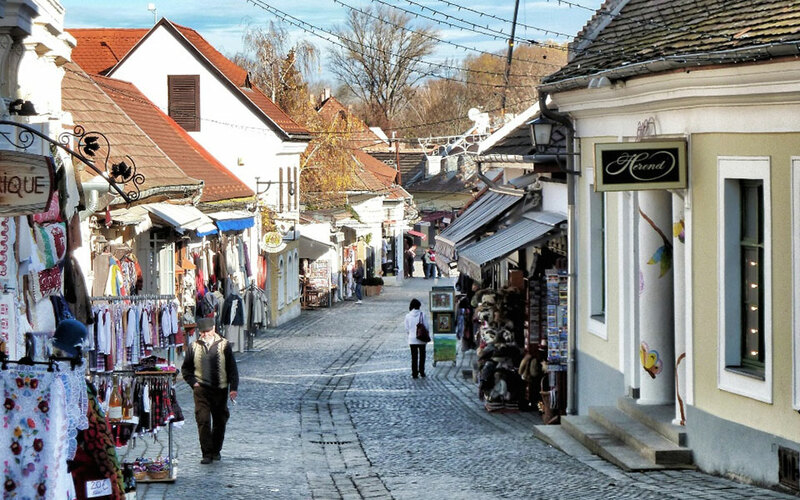 Head out and away from the city centre to Óbuda and Római Part. Located just beyond Aquincum and Óbuda Island, Római Part is one of the best places to spend a summer afternoon, lined with various outdoor bars, cafés and lángos, a deep fried dough topped with cheese and sour cream, stands. 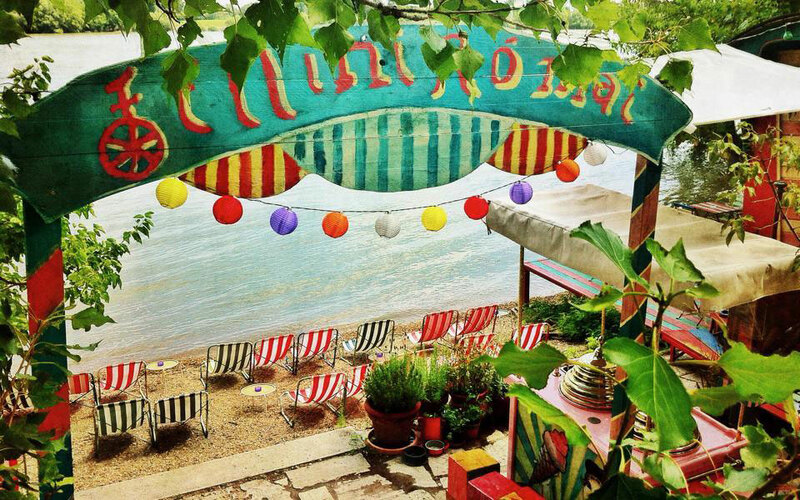 One of the most popular spots is Fellini Kultúrbisztró, where you can sip a glass of cool fröccs in a stripy deckchair on the Danube beach. Other places that you should check out on Római are Nap bácsi and Két rombusz. If you want to spare yourself the walk from the HÉV stop or get the bus from Arpád Híd, then take advantage of the BKK boat in the summer and go by water to the heart of all that Római Part action. 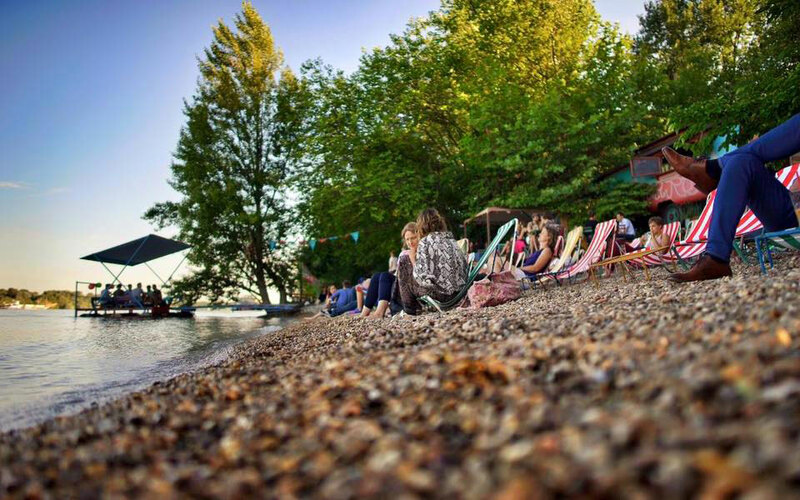 Opposite Római Part towards the Pest-side, Népsziget is a peninsula that sticks out into the Danube that has become home to one of the newest summer venues. Kabin, opened by the brains behind Fellini, offer a new Danube-side hangout with colourful awnings, drinks and a venue with a view. 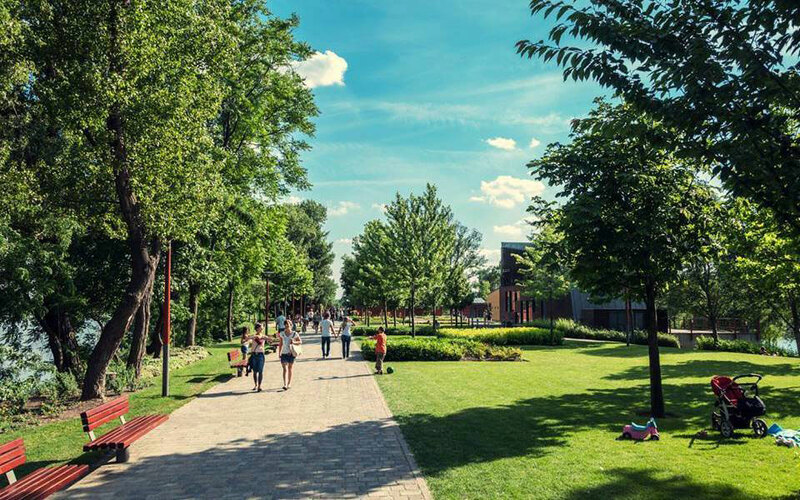 If you want to try an alternative to Római Part, then head over to the riverside area on Népsziget. Close to Lupa lake, Lupa island (sziget) lies in the Danube between the beginning of Szentendre island and the banks belonging to Budakalász. One of the prettiest islands in the Danube, Lupa island is covered in trees, with parts of the island lying off the beaten track – only accessible by kayak or canoe, whereas the entire island is car free. You’ll find Bauhaus holiday villas dotting the island, a great retro bar called Diós Kocsma, and you’ll also find some sandy spots to enjoy a quiet day on the beach. Lying opposite Lupa island, Tündér island seems hidden in its proximity to the opposing bank of the river. Tündér island is uninhabited and filled with trees – providing the perfect place to escape civilisation with a canoe or a kayak. To get to the islands, you can take a boat for a few hundred forints to escape the real world for a day. Or you can admire them from afar at the Ebihal Büfé, a floating riverside bar and café, accessible by a small jetty. 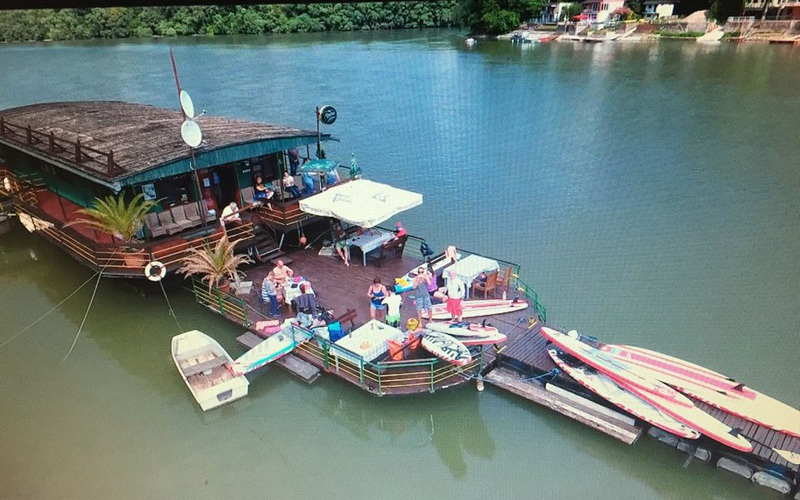 Zöld Kagyló Úszóház is another great floating bar where you can relax while enjoying some food, a cold fröccs and the beautiful view over Lupa-sziget. You don’t need a seaside to capture that feeling of a day at the beach. Just outside Budapest in Budakalász, Lupa lake (tó) opened its luxurious beach last year. Split into two parts – the standard beach and the premium beach, Lupa lake offers bathers crystal waters, white sands, and more. The premium beach comes with the chance to rent canopy beds for two, as well as offer luxurious pampering facilities such as massages, a gastro-street and watersports facilities. Sticking out 1km into the Danube on the other side of Buda from Római Part, Kopaszi dam (gát) is another spot that’s worth a visit in the summer. 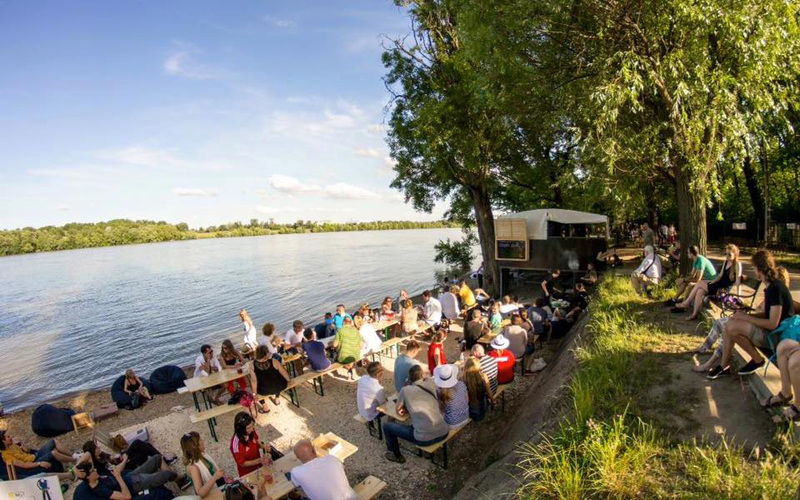 Located just after the red-poled Lágymányos bridge and opposite the Kelenföld Power Station, Kopaszi dam has been rejuvenated to include various cafés, bars, bistros and stretches along the Danube for sun worshipers. What also makes Kopaszi Gát stand out is its watersports, where you’ll see sailboats and canoes paddling about this man-made bay. While the Széchenyi Baths and the Gellért get packed in the summer months, if you want to escape the crowds yet still enjoy Budapest’s famous baths, then head up into Zugló to the Paskál Baths. 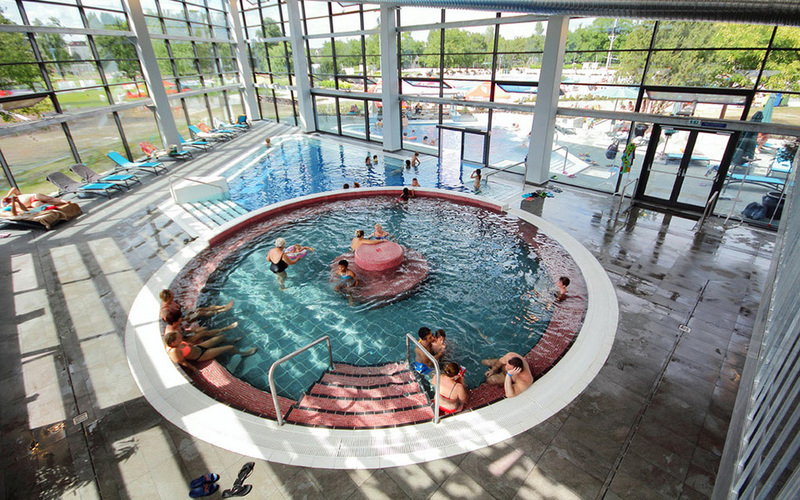 Part thermal baths, featuring a couple of thermal water pools, an activity pool that goes from indoors to outdoors (with a pool bar offering drinks from lemonades to cocktails), and various outdoor pools, sun beds and lángos stands, the Paskál Baths make for a great alternative to Budapest’s famous baths without hordes. Margaret island is a popular haven in the summer months, being free from traffic and home to relaxing lawns that make for the perfect spot for a picnic. 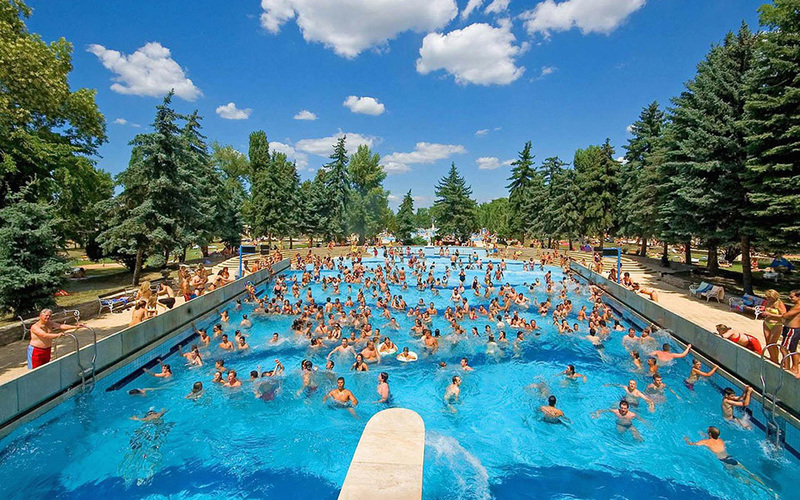 Margaret island is also home to the first outdoor lido and beach, whose shady and green setting has made it one of Budapest’s most popular outdoor baths and pools, including a fun wave pool. While it can get crowded, there is a reason why Palatinus is such a hit in the summer. So there is no need to escape down to Balaton when things heat up, just hop on one of the local trains, buses or even cycle there for a cooling day on the waterfront.